The winter doldrums finally got to me! 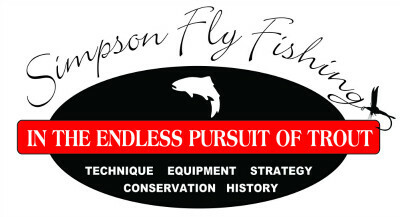 I can only read about fly fishing and tie flies for so long, before I get bored and need to “just do it”. The solution for those of us living in the northern hemisphere is to reverse hemispheres, and travel south of the equator where it is still summer. 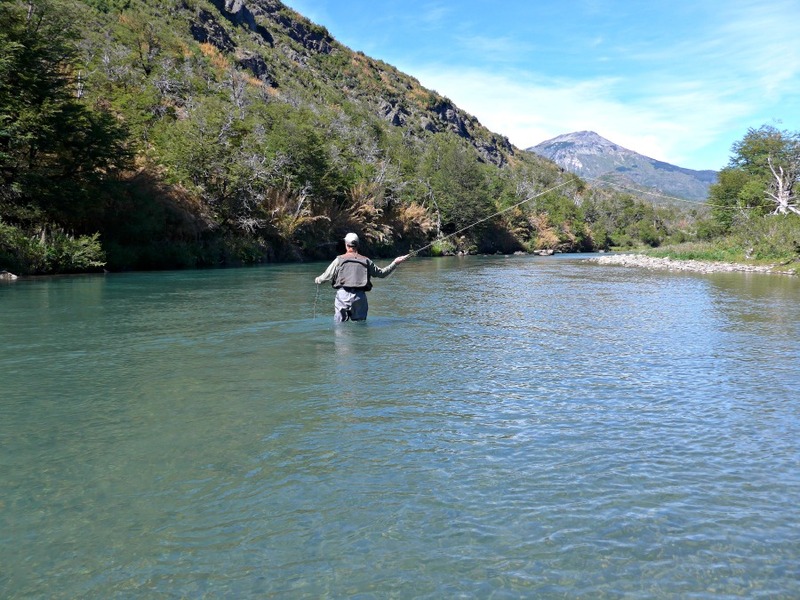 South America is much closer than New Zealand, so with but a week of time for a trip, I decided to try fly fishing Patagonia. My son Matt and two of our friends, Don and Lawrence, joined me. 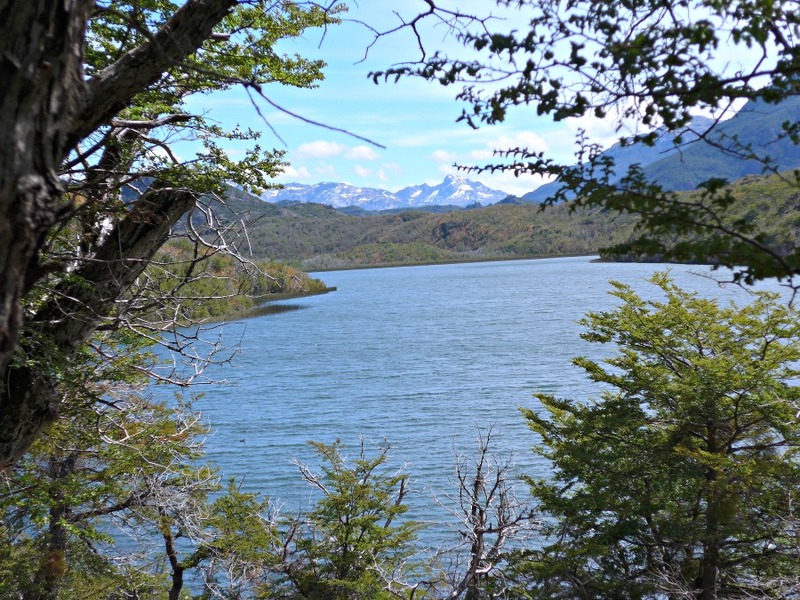 Patagonia is a geographic region in the southern half of South America. It is partly on the Chilean side of the Andes, and partly on the Argentinian side. Just like our Rockies, the Andes catch the westerly weather fronts. As a result, most of the moisture is dumped on the Chilean side, leaving the Argentinian side arid. There are countless rivers and lakes in the region, filled by springs and glacial run-off. They are cold, clean and crystal clear, ideal for trout. 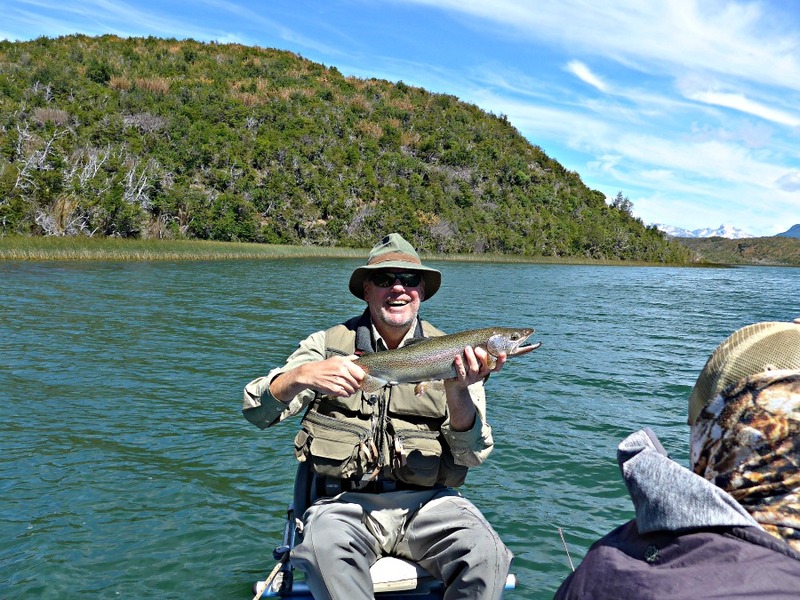 But interestingly, there were no native gamefish in Patagonia. Thus between 1904 and 1910, thousands of salmonid eggs were brought to the region. 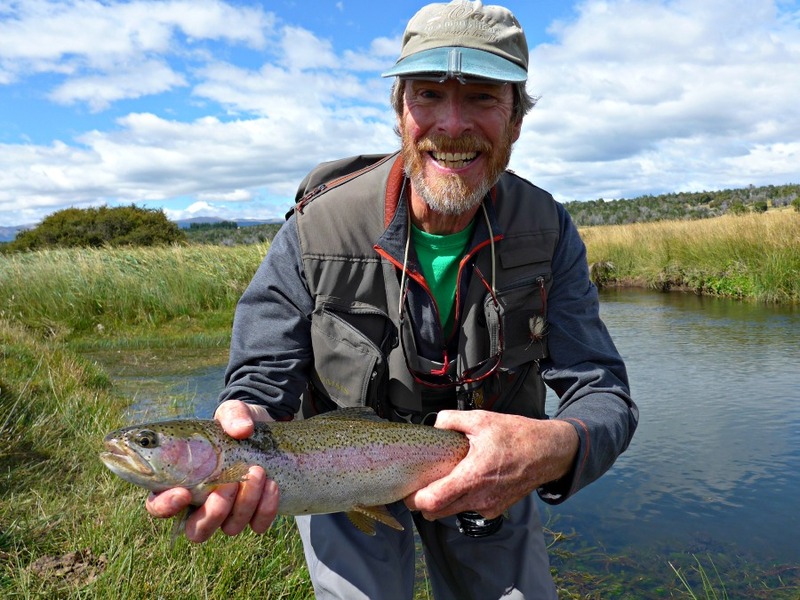 Rainbow and brown trout flourished, while brook trout managed to gain a foothold in a few of the colder headwaters. Coho and king salmon also fared well, and make a few fall runs from the Pacific ocean. Once the fishery became established, fly fishers began to make the trek south. Numerous lodges catering to fly fishing have been built. With so many choices, I felt the need for some advice. 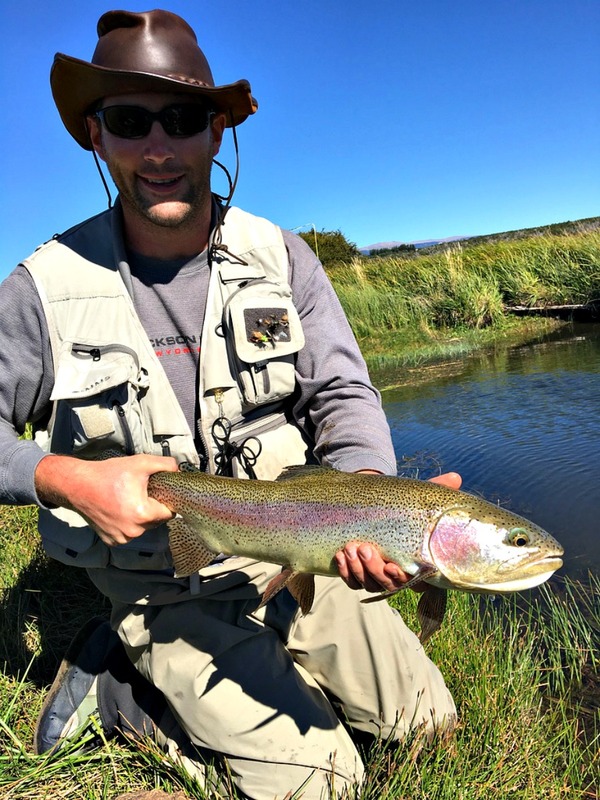 Thus I reached out to Justin Witt, owner of Hemispheres Unlimited, a company that specializes in booking fly fishing trips all around the globe. 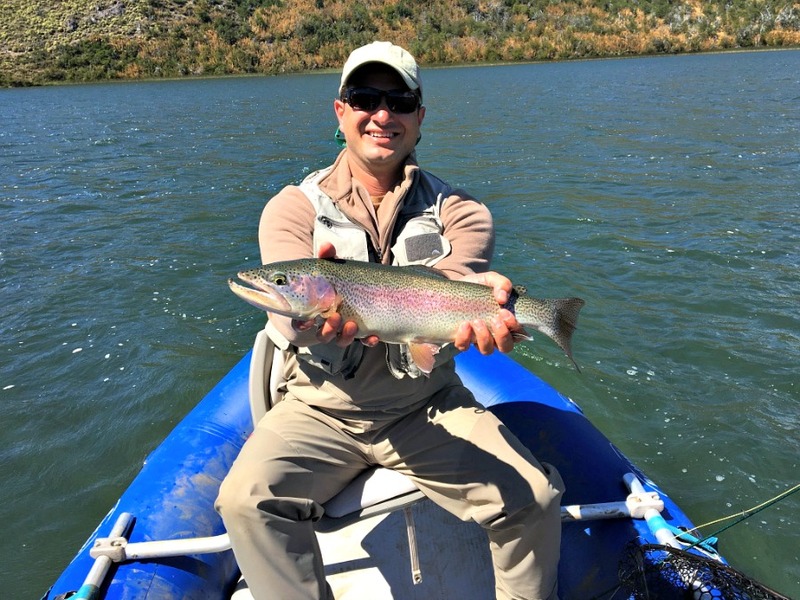 I met Justin last year, when he was the head guide for The Fly Shop wilderness trips in Kamchatka, Russia (see “Fly Fishing Destinations – Kamchatka, Russia, 9/2014). 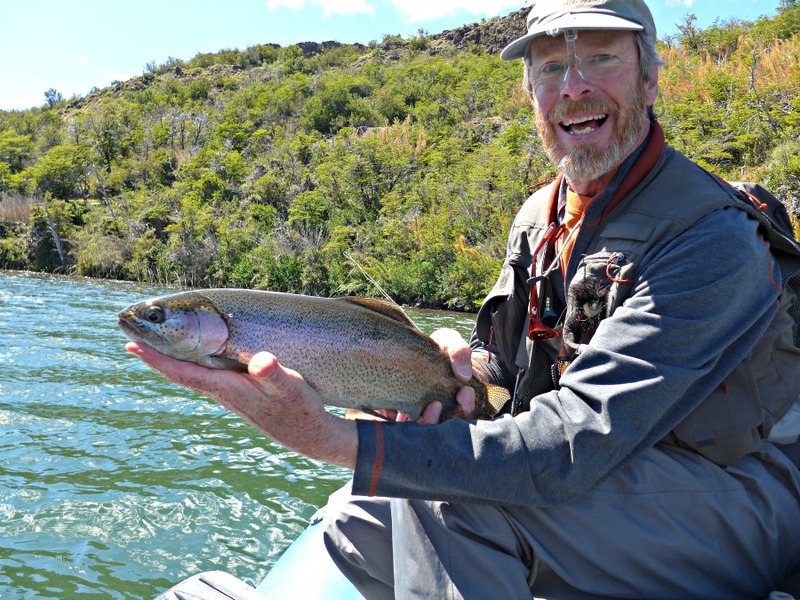 He has personally fished in all the hemispheres, and has lived and fished in Patagonia for a number of years. 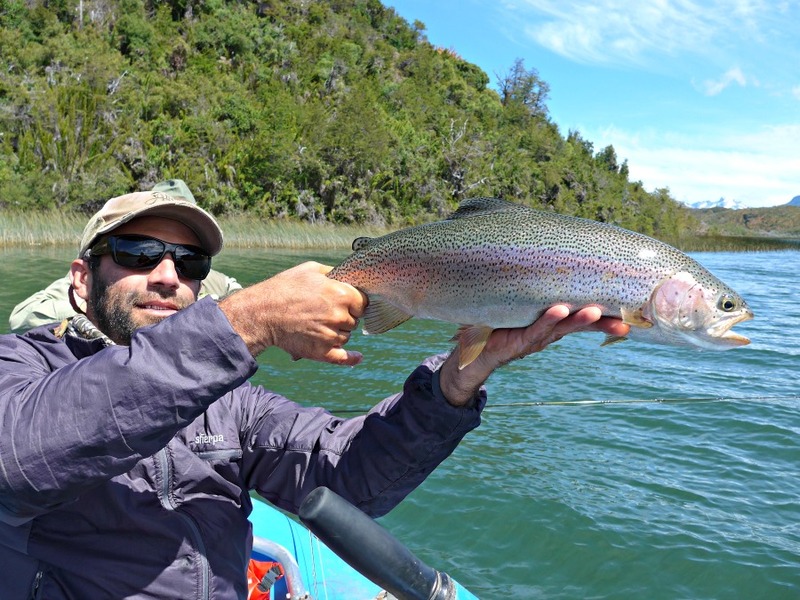 Justin recommended a new lodge, the Lago Rosario Lodge, just south of Trevilin, Argentina. He works with a travel agency, and arranged all our flights as well as private ground transportation. It’s always reassuring to emerge from customs and see your name on a placard, knowing that you will be promptly taken to your next destination. 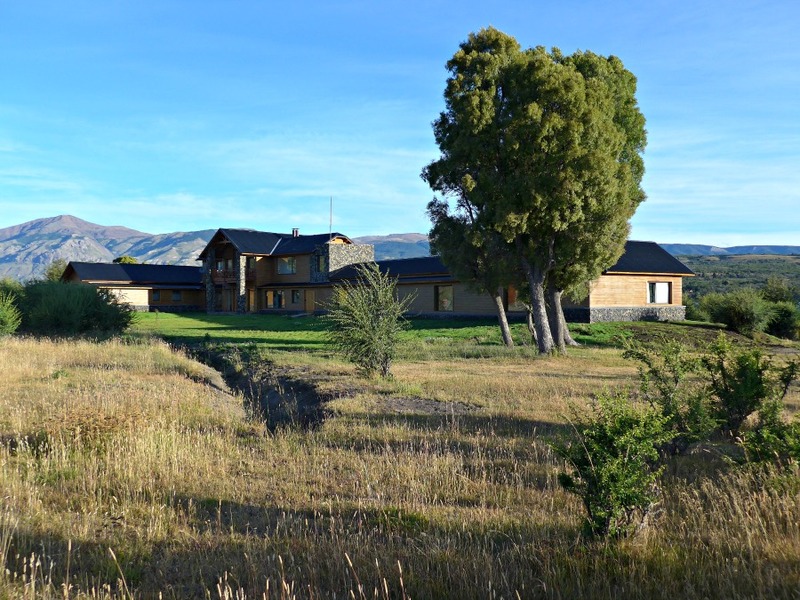 We first flew to Buenos Aires, then on to Esquel, a forty-five minute drive north of our destination. The human footprint in Patagonia is minimal. Towns are small, few and far between, connected mostly by gravel roads. The economy remains primarily agricultural, and the countryside is dotted with huge estancias, or ranches, comprised of several hundred thousand acres each. Cattle and sheep far outnumber human habitants. 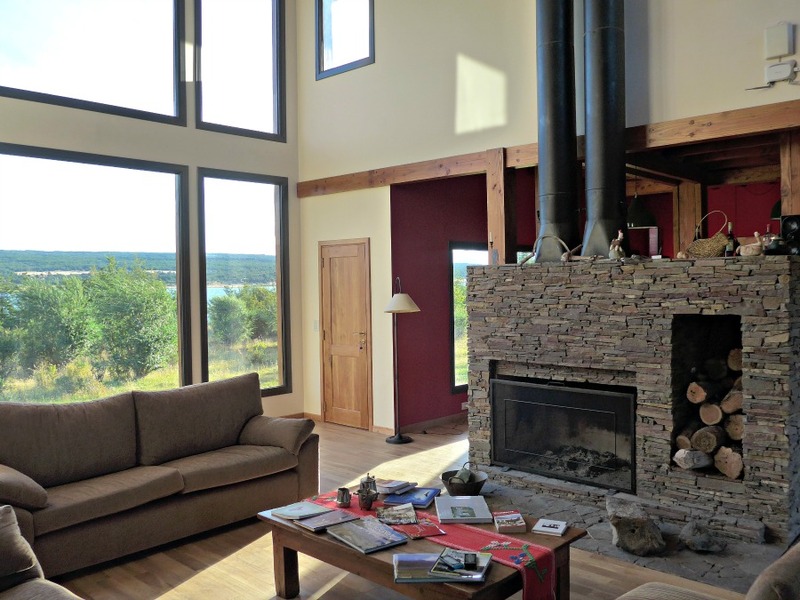 The lodge itself was excellent, with semi-private rooms, a family/social room with fireplace, dining room, and open bar. The meals were five star quality, and a highlight of the day. 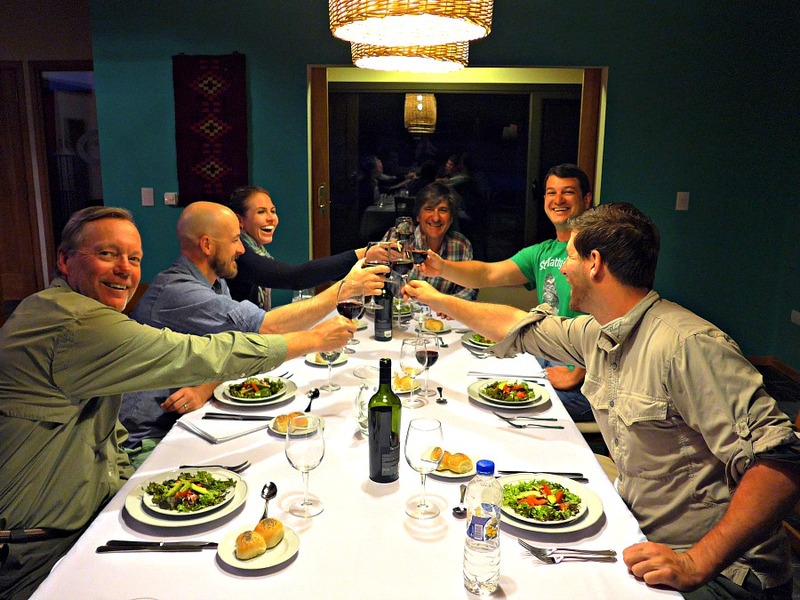 Typical fare variously included fresh salads with homemade dressings, lamb grilled Argentine style, bacon wrapped sirloin steak, osso buco, chicken, or lamb stew. Dinner included deserts like flans, cheese cakes, and ice cream. 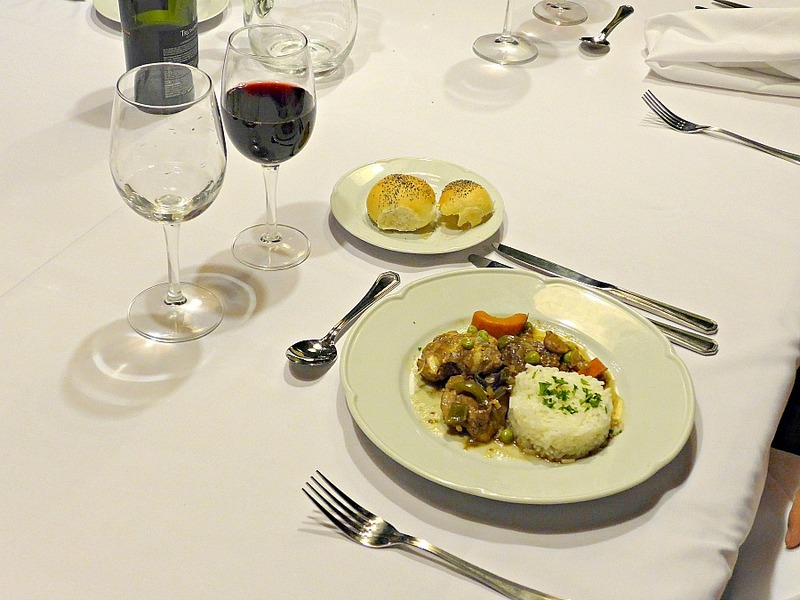 Wine was served with every dinner, featuring local Malbecs. Enrique, one of the lodge owners, was our evening host, and offered a great deal of interesting information about Argentina and its people. 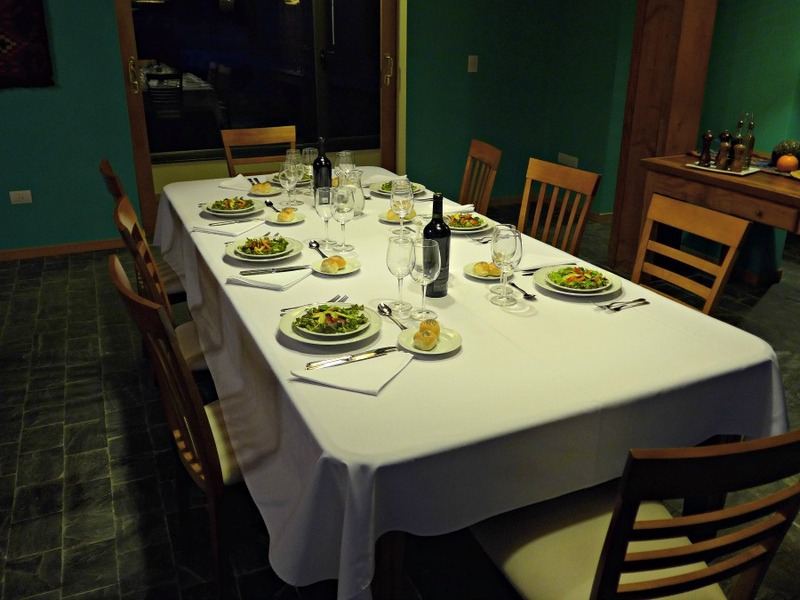 Lago Rosario Lodge- dinner is set! Our days began at eight, with a continental breakfast, and eggs made to order. 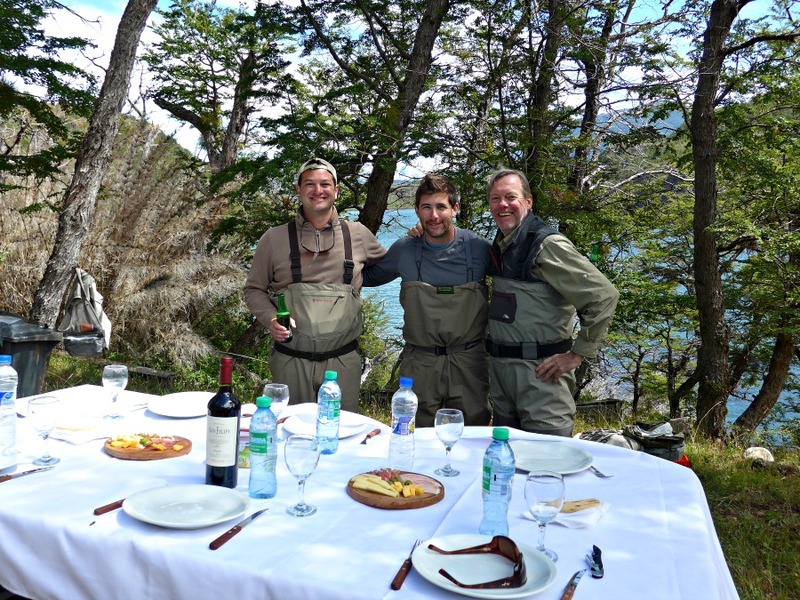 We left the lodge at nine, and fished until one or two, when we would pause for a renowned, Argentinian, streamside lunch. Lunches were served on tables set with white table cloths, silverware, stoneware plates, stemmed wine glasses and folding chairs. The fare variously included empanadas, quiches, chicken steaks, salads, cheeses, meats, and wine, water or sodas. One day our guides grilled steaks over an open fire. We then fished until six or seven, returning to the lodge for hor dourves, drinks, and tall tales of the day’s adventures. Dinner was served at nine. The fishing venue was varied. 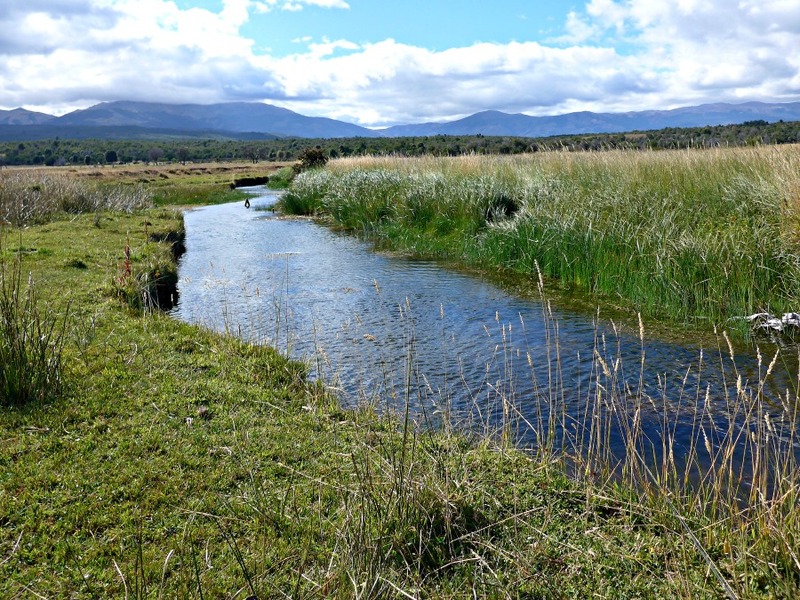 Some days we fished small spring creeks, and medium-sized, wadable freestone streams. 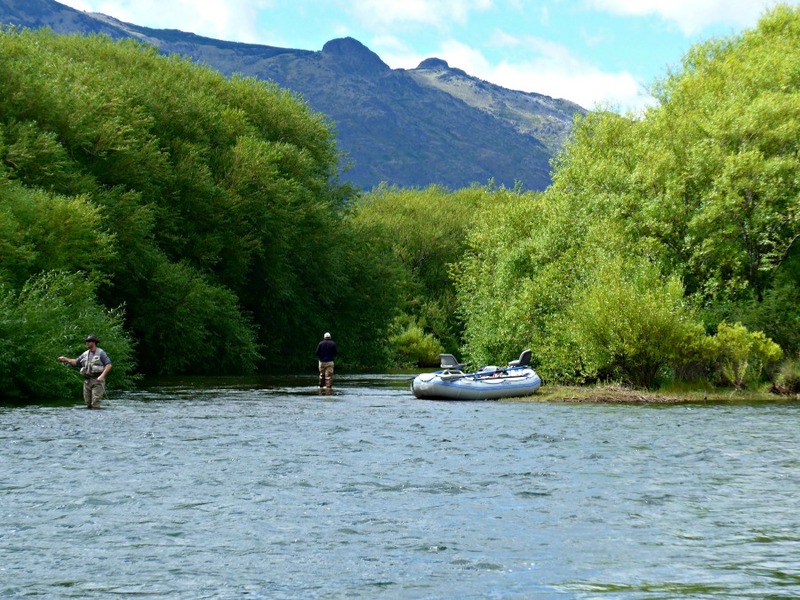 Other days we fished large streams, tailwaters and lakes requiring boats or rafts. We were able to fish a different type of water each day. Many of the streams were private, and off the beaten track. We encountered other fishermen only once, on a large tailwater, which had no impact on our day. 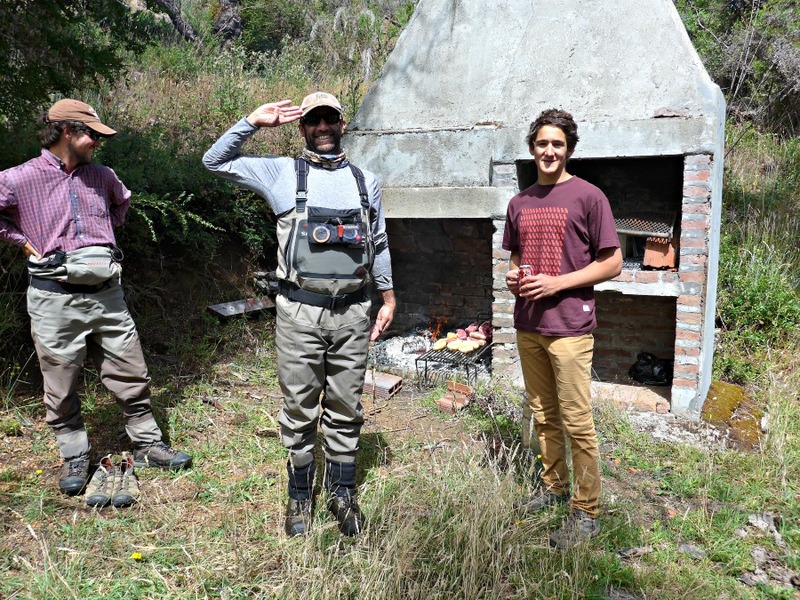 Our head guide, Emiliano Luro, and his fellow guides all spoke English. They were affable, easy to spend time with, knew their waters well, and proved to be very helpful. The primary target was rainbow trout, but some streams also had br0wn and brook trout as well. The fishing was at times challenging, mostly due to high winds, so bring your double haul! Each of us usually netted 10-20 fish a day, sometimes many more. They generally measured in the upper ‘teens, often in the twenties. They were colorful and had a surprising amount of fight, even when caught in small or quiet waters. 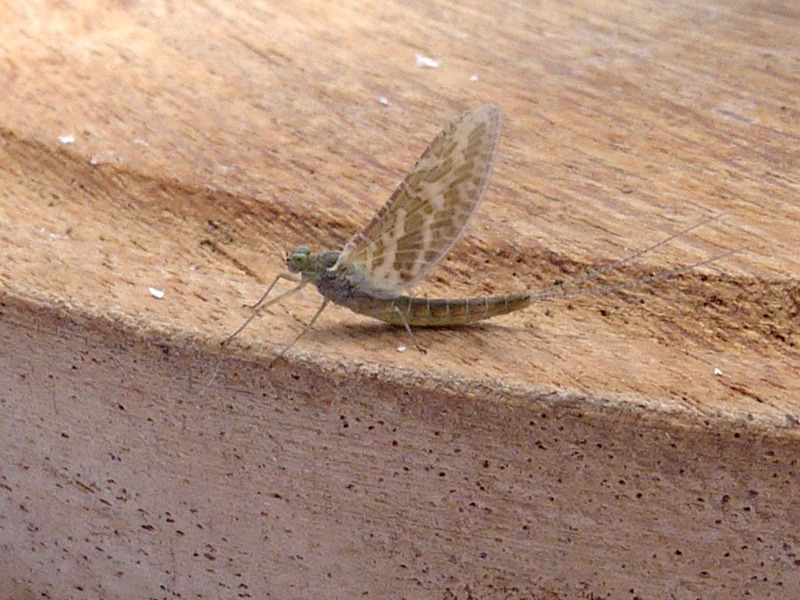 The small spring creeks had healthy mayfly hatches in the mid-mornings, and hoppers in the afternoons, providing good dry fly fishing. The fish were not especially fussy, and #14-16 parachute Adams worked well when a hatch was on. The grasshoppers were small but abundant, and the trout devoured #10-12 tan hopper patterns. If no bugs were on the surface, small #12 tan wooly buggers with tungsten bead-heads, jigged along the bottom, brought large fish out from the weeds. When fishing the larger streams and lakes, streamers and nymphs were reliable. I mostly used 3-4 inch olive, cone-head, bunny patterns, and generic nymphs, such as princes, copper Johns, and hare’s ears. All worked well. For the surface, large attractor patterns, like #8-12 stimulators, worked well, especially when fishing near banks or weed beds. In sum, if you are getting tired of small brookies and a lack of fishable weather, think SOUTH of the EQUATOR. Justin will be happy to help you find a site that best suits your preferences. 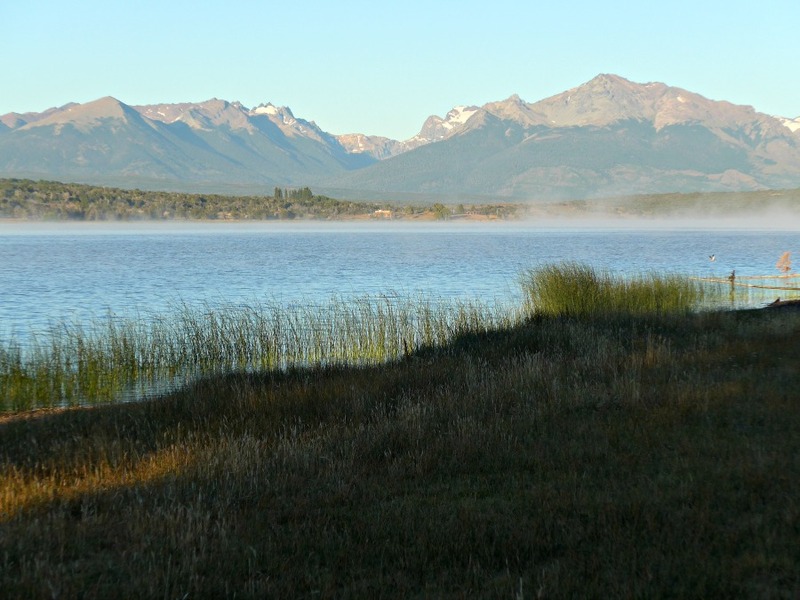 It’s not too late- the Patagonia summer lasts through the end of March! written by Al Simpson, March, 2016. Edited September, 2017.